If your aircon unit is leaking, it is a signal that something is wrong with your aircon. Please do not ignore it. Even a small issue can snowball to a bigger problem someday. We are here to share and raise some awareness. Let us learn about these main reasons why your aircon system is leaking. 1. Condenser pump faulty – One of the major reason is that your aircon condenser pump is broken. To check if there is any issue with the condenser pump, pour water into the condenser pan. Then check if it is able to pump out the excessive water properly. If it does not pump out the water properly, verify first if it is getting any power. If it gets ample power, it might be broken. 2. Drain line clogged or not leveled – Water cannot drain properly out of the aircon unit. Clogged are built up by dirt. Not level is an installation issue where some point on the drain line is higher than the aircon unit’s drain point. It leaks from the next lowest opening. 3. Low Freon or refrigerant – is the gas that helps to transfer heat in your aircon system. If refrigerant level is low, it can result in decreased cooling, freezing of coil and reduced efficiency. Frozen evaporator coil will bring condensation and water starts to overflow. Aircon system has to be recharged with air con gas and topped up to the correct amount so that it can work properly again. 4. 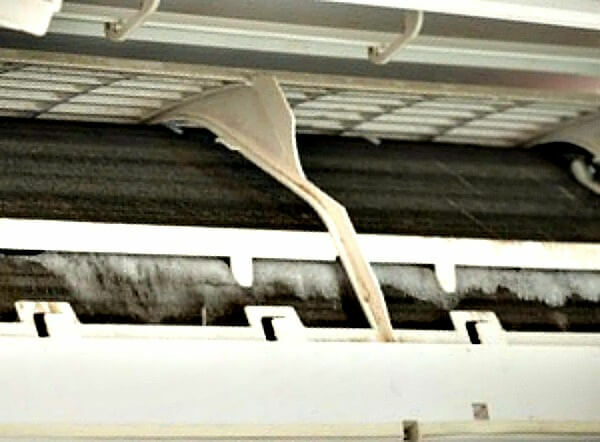 Dirty air filter – It is yet another reason for leaky air conditioner. It prevents proper airflow in the system and caused some part of the evaporator coil becomes frozen. 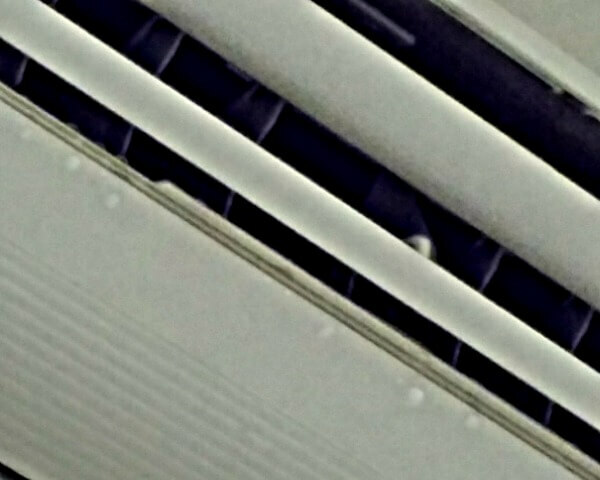 Hence, condensate water drips down from the aircon blower. 5. Overflow pan – Overflow or drip pan is responsible for catching condensation originating from aircon system. Most of the above cases where condensate water are involved has been taken care by this pan, but not all. Too much condensate water might flood the pan as the design is shallow and the drain port might not drain fast enough. It could result in aircon leaking. Small holes and cracks may result in water leaking, but it is very rare. 6. Aircon seals damaged or not seal properly – Aircon seals are made of rubber or PVC. If it does not hold tight enough, water will slip through the opening. Sometimes water slips through a joint and accumulates at the lowest point to drip. Hence, you might need to trace the leak instead of accusing the pipe is punched. 7. However, there is only one common condensation issue, which is not consider as aircon leaking. It happens only at the beginning when you turn on the aircon and there is a huge temperature difference between the inner and the outer temperature of the aircon unit. No need to panic. Just wait for a while and observe if it is still leaking. Everything will be alright once both temperature are matched. If it persist after sometime, it may be a good time to call for help from our aircon service company. Our aircon specialists will help to trace the leak. Contact us today to solve your air conditioner problems.